One of the institutional characteristics of the NYU School of Law that I am most proud of is its innovative spirit. Our forward-thinking faculty and student body are always trying out ideas. This can manifest itself on a small scale—as when Katrina Wyman structured an environmental law seminar around the recent nonfiction book Last Flight of the Scarlet Macaw—or it can loom large. In our cover story, “A Measured Response,” Paul Barrett examines how NYU Law gave shape to a new field—Law and Security—in response to the events of 9/11. In particular, Barrett details the scholarship of six faculty members whose work is central to this field: David Golove, Stephen Holmes, Richard Pildes, Samuel Rascoff, Margaret Satterthwaite ’99, and Stephen Schulhofer. 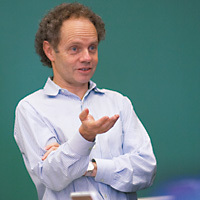 (Rascoff, one of the nation’s first tenure-track faculty in national security law, just won a Carnegie grant to research the U.S. government’s understanding of Islam.) Barrett also reports on the singular leadership of Karen Greenberg at the Center on Law and Security, where she boldly gathers a global mix of police and military officials, judges, investigative journalists, and high-level policy experts as fellows and guests to engage in an informed dialogue—with real-world consequences. I am especially proud that the emerging fields of Law and Security and Law of Democracy—last year’s cover story—were incubated and developed by our faculty. In each year’s magazine, we feature an area of law in which I am confident a peer review would say we lead the way among top law schools. Past articles have highlighted our programs in international, environmental, and criminal law, as well as in legal philosophy, civil procedure, and clinical law. To maintain our leadership even during this recession, we continue to invest in expanding our faculty, and I am pleased, in this issue, to introduce five full-time tenured additions. My joy is tempered, however, by the death last May of our esteemed colleague Thomas Franck. I also greatly admire Jerome Cohen’s expertise and foresight; he is profiled by Pamela Kruger in “China’s Legal Lion.” Back in the 1960s Jerry studied Mandarin in his Berkeley basement, which led to his taking part in many watershed moments over the last four decades as China became a world power—from Nixon’s historic trip in 1972 to the 2008 election of Jerry’s former student Ma Ying-jeou (LL.M. ’76) as president of Taiwan. Nancy Morawetz ’81 gathers nine colleagues and former students for a fascinating discussion of one of the thorniest issues of our times: immigration enforcement. Ten years ago Nancy started the Immigrant Rights Clinic, which has inspired influential student casework, launched many careers, and been widely imitated by law schools across the nation. This fall, Joseph Weiler inaugurates two centers. His powerful vision is to make an academic home on Washington Square for great thinkers of our time, giving them the freedom to explore their ideas. We welcome the distinguished fellows of the Straus Institute for the Advanced Study of Law & Justice and the Tikvah Center for Law & Jewish Civilization to our campus, where they will surely enrich the Law School’s intellectual discourse. The past year has been marked by two galvanizing events: the financial crisis and the presidential election. I am impressed by our alumni serving the public through their roles in the economic recovery and the Obama administration. I want to highlight David Kamin ’09 and our back-page subject, Max Kampelman ’45. Kamin graduated in January and immediately became special assistant to Peter Orszag, director of the Office of Management and Budget. Kampelman, an ambassador in the Carter administration and Reagan’s arms negotiator, could be enjoying a leisurely retirement; instead, he has shown an inspiring determination to bring about the global eradication of nuclear arms. I couldn’t ask for better examples of graduates who are devoted to making the world a better place.